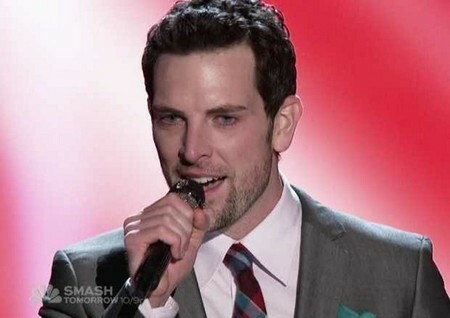 Chris Mann sang “Ave Maria” on tonight as The Voice ‘Semifinals.’ On tonight’s show the top eight finalists on Season 2 of The Voice are ready to sing for their lives and compete for your votes. The eight Semifinalists will each perform one song in addition to a group performance. The Finalists will be revealed on THE VOICE Elimination Show, Tuesday, May 1 (9-10 p.m., ET) as only one artist per team will advance to represent their coach in the Finals, narrowing the field down to four. We recapped tonight’s show for you and if you want to see how all the singers did tonight you can go HERE, to read our full and detailed recap. Want to vote for your favorite on The Voice tonight? There are lots of easy options this season to vote for your favorites. Here’s all the different ways you can cast your vote starting tonight: Call the number on the screen; Text from your Sprint phone; download an artist’s performance on iTunes; vote online at NBC.com or vote online at Facebook. You can vote up to 10 times via each method so that’s up to 50 votes each week! Watch the video below and let us know what you think? Do you think that Chris did enough to keep him around for another week? Sound out in the comments below!